In the 1970s geophyicist Rockne Hart Johnson visited the Samoan islands to investigate a series of undersea explosions that had been picked up on hydrophones. He concluded that there was a major undersea volcano in the area but was unable to confirm its activity. It was not until 1999 that scientists Stan Hart and Hubert Staudigel were able to organise an expedition to confirm Johnson's findings. 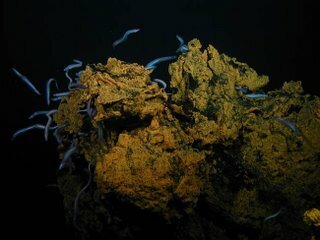 Their expeditions not only confirmed Johnson's findings but revealed a huge volcanic seamount. Named Vailulu'u, the massive volcano rises 4200 meters from the sea floor to a depth of 590m. Its summit has a 2 kilometers wide, 400m deep caldera. 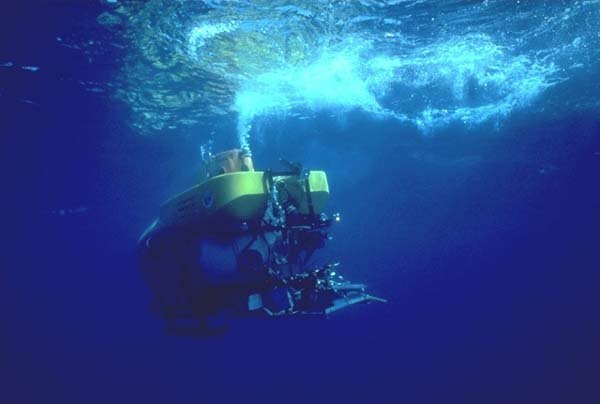 But the most astonishing discoveries were made in 2005 when the scientists were able to explore the volcano in the submersible Pisces V. They discovered not one but two active volcanos for a second volcano was rapidly emerging from the caldera. The secondary volcano called Nafanua , is growing at an amazing 20 cm a day. 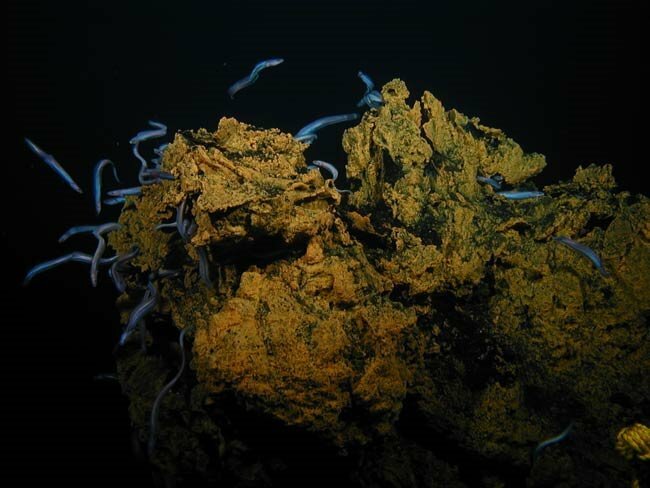 How the Eels managed to feed was a mystery but they now believe the eels are feeding on shrimp which are being brought down from higher levels by thermal currents. However the currents which allow the eels to feed also deposit sea life into surrounding deadly toxic waters, what has been called the Moat of Death. The dead fish rot away allowing bristle worms to feed from the resulting bacteria. Some time this century the seamount will rise above the surface and a new island will be born. In the mean time researchers have a chance to explore an amazing geological event and a unique thriving ecology. For more information see here, here and here. Also there a short video clip of the eels at this site.